KABUL -- A meeting between Taliban representatives and a number of Afghan opposition politicians in Moscow is an attempt to interfere with Afghanistan's internal affairs and derail the peace process, Afghan lawmakers and analysts say. The two-day sit-down in Moscow, starting Tuesday (February 5), will be attended by some of President Ashraf Ghani's chief political rivals. None of the government's envoys tasked with peace negotiations have been invited to attend. The Taliban Sunday (February 3) confirmed it would send a delegation to Russia for the meeting. The agenda of the conference includes discussions on Afghanistan, a "declaration of policies" and opening channels to reach "an understanding with non-government Afghan political groups," the Taliban said in a statement Monday (February 4). Ghani has repeatedly invited the Taliban to negotiate directly with the Afghan government, while at the same time supporting the role of US Special Representative for Afghan Reconciliation Zalmay Khalilzad in negotiations. Khalilzad recently briefed Ghani on six days of discussions with Taliban representatives in Doha last month that sealed the outlines of a peace deal. The Taliban and US officials are scheduled to hold another round of peace talks in Doha on February 25. "There is optimism about peace efforts with the Taliban, as they held several meetings in Doha," said Mohammad Farhad Sediqi, a member of the Wolesi Jirga (lower house of parliament) representing Kabul Province. "But at this critical moment, Russia holds another meeting without the presence of the Afghan government," he said to Salaam Times. "I consider this meeting an attempt to sabotage the negotiations." The Russian Embassy in Kabul issued a statement late Saturday (February 2) on behalf of the "Afghan Society of Russia", which said it had invited "influential figures" to the dialogue in the President Hotel in Moscow. It is not clear what role the Russian government has in the summit. However, a Russian official told Reuters January 31 on condition of anonymity, "At this sensitive stage, it was best to not have Afghan government officials at the table." A spokesman for the Russian Embassy in Kabul could not be reached for comment, AFP reported Sunday. Among those who have confirmed attendance in Moscow is Hanif Atmar, who is running against Ghani in the presidential elections scheduled for July 20. Former warlord Atta Muhammad Noor and Hamid Karzai, the former president -- both Ghani rivals -- are also attending. The meeting was "a pathway towards strengthening the peace efforts led by the United States", said Noor Sunday, while Atmar described it as "an important step towards intra-Afghan peace talks". This is not the first time Russia has attempted to hold a "peace conference" with the Taliban. 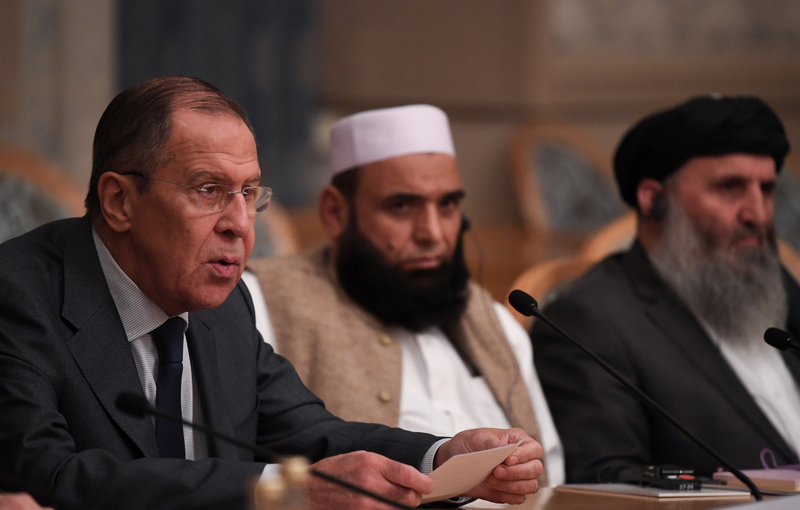 The last such event, in November, failed in its stated purpose to formalise negotiations between the Afghan government and the Taliban and instead offered more evidence of splintering among Taliban factions and of Russia's meddling in Afghan affairs. "Negotiations between the Taliban and some individuals will never help us to achieve peace and stability or end the war in the country," said Najibullah Azad, a Kabul-based political analyst and former deputy spokesman for Ghani. "The Russians and the Taliban have decided to hold this meeting only for their own benefit," he told Salaam Times. "It will harm the people of Afghanistan." "The Taliban and the Russians negotiate with some individuals and political parties because they want to show that the Afghan government is illegitimate," he said. "Any secret agreement with the Taliban is a national betrayal and disrespects Afghan security forces." The meeting in Moscow defies the "norms, principles and ethics of diplomacy", Azad said. "Russia has an embassy in Kabul and a special representative for Afghanistan," he said. "The issues related to our country, especially peace talks, should be discussed with the Afghan government." "Without consultation and co-ordination with the Afghan government, Russia is violating all principles and ethics of diplomacy by hosting this meeting," he said. "At the second round of the Kabul Process peace conference, participating countries -- including Russia -- agreed that the peace process should be led and owned by the Afghan government," he said. "But in practice, we see that this is the second time Moscow has not fulfilled its commitment," Azad said, referring to the earlier meeting last year. "The only legal and official authority to represent Afghans is the government of Afghanistan, not political parties or Russia," said Sayed Hamed Anwari, a Kabul-based political analyst. "Holding this meeting with the participation of some political parties is contrary to the laws of Afghanistan and our national interests," he told Salaam Times. "Only the Afghan government can hold and manage the negotiations." "Russian leaders hold these meetings to disrupt and challenge the peace efforts," he said. 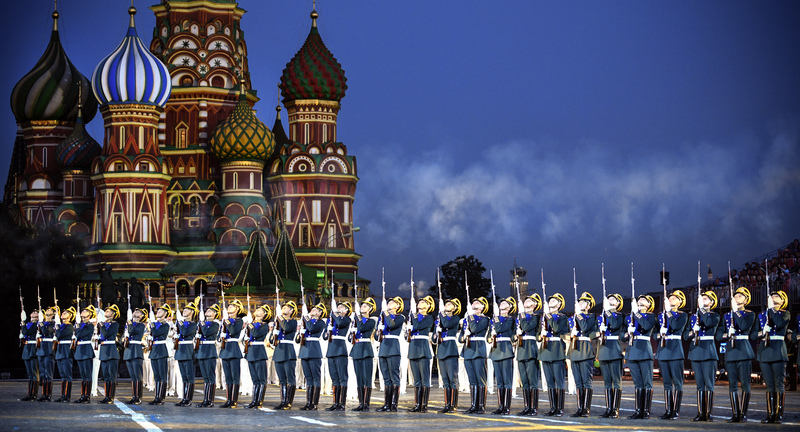 "Moscow has no intentions for peace." "The position of the Afghan government has always been clear that any peace talks should be led and owned by Afghanistan," Sebghatullah Ahmadi, a spokesperson for the Foreign Ministry, told Salaam Times. "Therefore, other countries must fulfill their obligations and recognise that the peace process must be led by the Government of the Islamic Republic of Afghanistan," he said. "The main peace negotiator is the Afghan government," Ahmadi said. "Without the presence of the legitimate government ... these meetings will not only have no positive results but will also not help us to achieve peace." Rahmatullah Nabil, former director of the National Directorate of Security, called the peace process "great news" but warned that "mismanagement of the peace process can lead to another war". "To this end, the Taliban should be co-opted into the current state system, not the other way where the Taliban co-opt the state and the Islamic emirate emerges again," he tweeted February 1. "In 1994-1996 some Afghans flocked to the Taliban because the state and its institutions did not exist," he said. "That is no longer the case in 2019," Nabil added. Rahmatullah Nabil, the former head of National Directorate of Security, called the peace process "an important news," while warning that "mismanagement of the peace process" can result in yet another conflict. First, the opposition parties should not hold talks with Taliban and if they are holding talks for their personal interests, the government may better stop them from doing so. If not so, our 18 years' achievements will turn into loss and our country will once again become the battle of war. The Kremlin's efforts to reschedule a failed conference are not meant to establish peace in Afghanistan but rather to promote its own objectives. 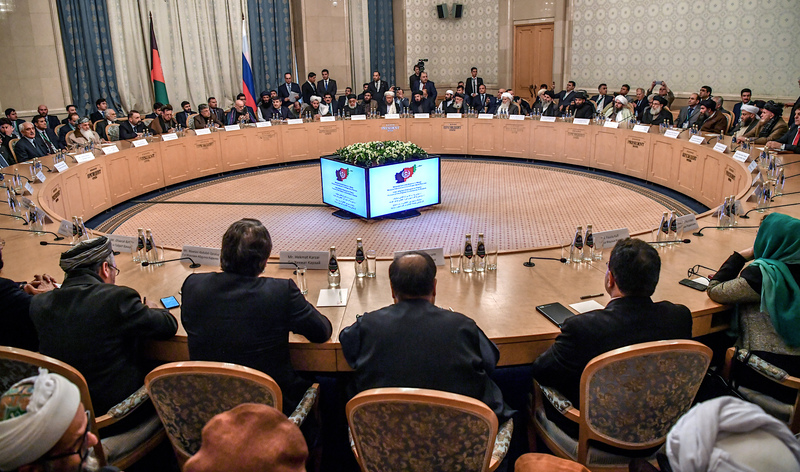 A Taliban splinter group deemed the summit 'bogus' while Afghans from all sides rejected Russia's alleged aim to foster peace.